Some history of the mill. Broadstone Mill Shopping Outlet opened in 2001, and after major redevelopment is now a key shopping destination offering more than 100 retailers under one roof. 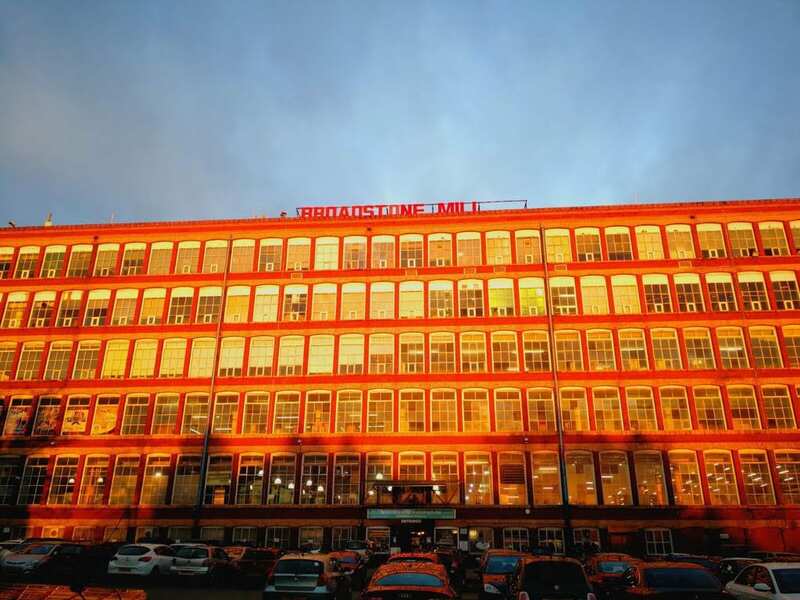 The huge red brick mill was built between 1904 and 1907 and in its heyday was the largest and most modern mill in Europe. The local area has been re-named Houldsworth Village, and the overall project was named winner in the ‘Boosting Productivity’ category at the Regeneration and Renewal Awards 2008. Broadstone Mill Shopping Outlet were very pleased to be a Finalist in the category Independent Retailer of the Year and achieving Highly Commended in this category at the Stockport Business Awards in 2013. 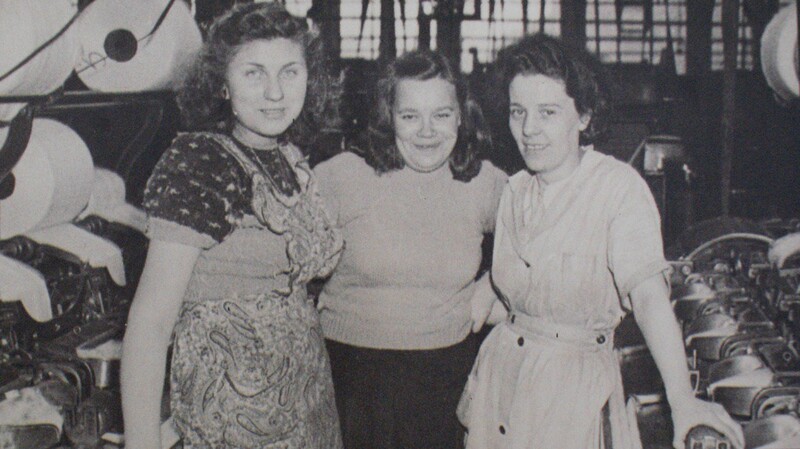 In June 1941 many of the workers had left the mill to join the conflict of the war and mill one was forced to close. It re-opened again in 1946. 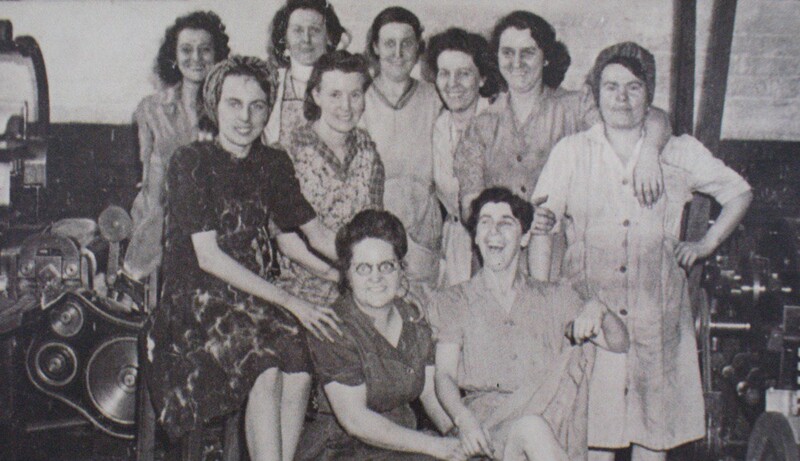 By 1952 the cotton industry had started to decline and the local mills and workers faced an uncertain future. In the winter of 1959 Broadstone Mill closed. The General Electrical Company purchased the mills to base the production of transistors at the site. Following a merger with Mullards these plans fell through and the mills stood empty once again. The mills failed to reach their reserve price at auction, and were later purchased by Greenly House Development Company of London. Mill two, the chimneys and the engine house were demolished and the section of canal that ran past the mills was filled in. Mill one under went modernisation for light machinery use. William Baird PLC acquired the site producing clothing to retail high street and provided hundreds of jobs. Telemac factory shop was opened to the public. 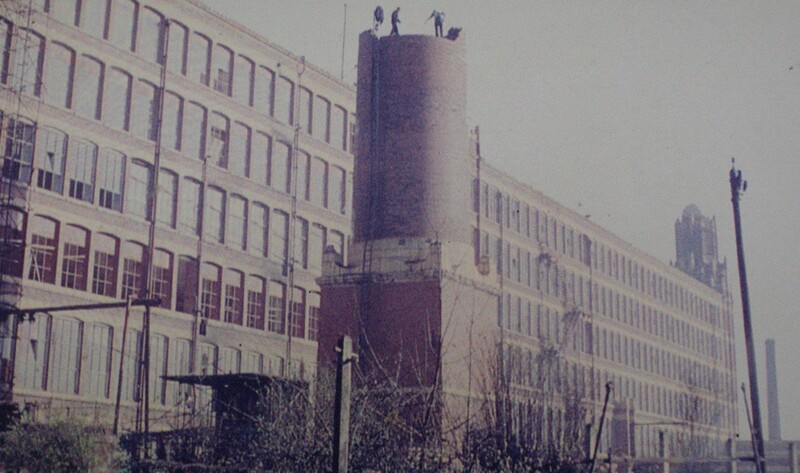 Broadstone Mill was sold to a private investor and the creation of a mixed use building began. 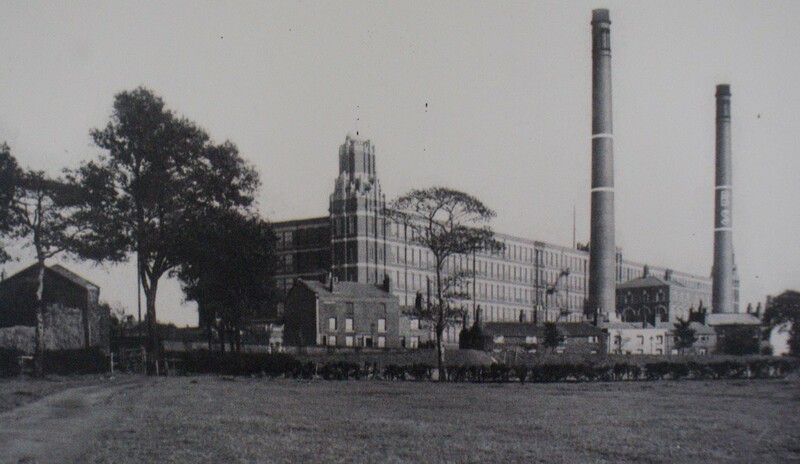 Broadstone Mill Factory Outlet opened to the public. Broadstone Mill now houses managed workspace and flexible office accommodation. The first Stockport Business Incubator is based at the mill in partnership with the University of Manchester and Stockport Council. The most recent development is now underway to provide space for creative industries which will include crafts, artisans and public exhibition space. Broadstone Mill and the Manchester & Stockport Canal Society are working together with British Waterways for the reinstatement of the canal. Alongside both private and public sectors Broadstone Mill is assisting with the development of the Houldsworth Village vision…. 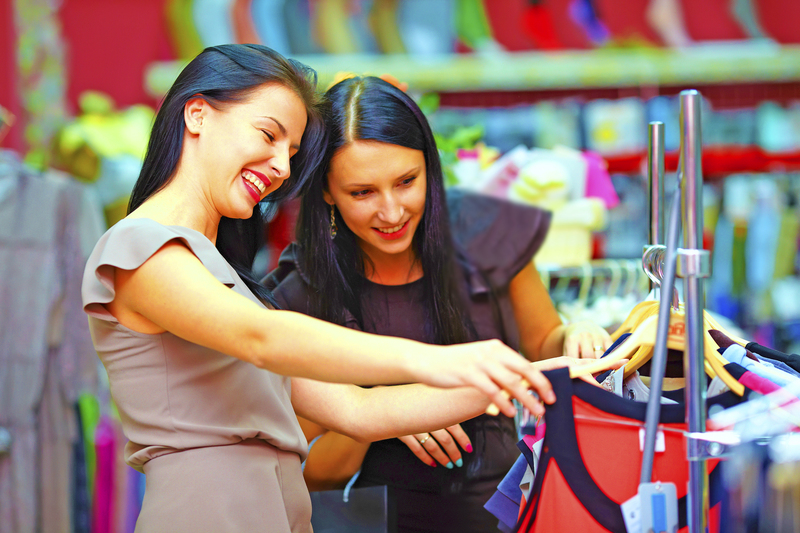 to create a vibrant destination for mill shopping, creativity and knowledge based companies. Today Broadstone Mill continues to house managed workspace and flexible office accommodation on the 3rd and 4th floors. On the Lower and Upper Ground floors is Broadstone Mill Shopping Outlet which is a hidden treasure. A large department store housing Ladieswear, Menswear, Shoe Department, Home and much more. Something for everyone!